The Drug Evaluation and Classification (DEC)/Drug Recognition Expert (DRE) program is an international program intended to equip law enforcement officers with the knowledge and skills required to distinguish between impairment caused by drugs other than alcohol and impairment caused by other reasons. Furthermore, through a process of standardized and systematic observations and measurements, the Drug Recognition Expert (DRE) can classify the drug impairment as being characteristic of one or more classes of drugs. Alaska State Troopers make a DUI Arrest. Photo courtesy of the Alaska State Troopers. Photo courtesy of Officer Blain Hatch, Juneau PD. 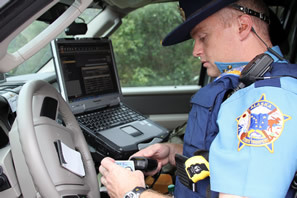 The Alaska Highway Safety Office and the National Highway Traffic Safety Administration Pacific Northwest Office work with the Juneau, Fairbanks, Wasilla and Kenai Police Departments to foster Alaska's Law Enforcement Liaison (LEL) program. Trained LEL Officers serve as a bridge of communication between the Highway Safety Office and state and local law enforcement agencies focusing on traffic safety, education, and law enforcement. Teen drivers may exhibit risky behavior such as consuming alcohol and/or drugs prior to, or while, driving a motor vehicle. The events and visual effects of Mock Crash productions provide an intense impact on these young adults, which will hopefully aid them in understanding the consequences of destructive behaviors such as driving while under the influence of alcohol and/or drugs. Information on correct seat belt use, agencies involved with protection of occupants and children in auto crashes, and answers to questions about seat belts in school busses. A designated Safety Corridor is a segment of a state highway that has been identified as having a higher than average incidence of fatal and serious injury crashes, and the Commissioners of Transportation & Public Facilities and Public Safety have agreed to provide funding for effective education, enforcement, engineers, and support emergency response agencies for those sections of road. National Monument. Photo Courtesy of Colony High School. Every year teens account for approximately 20% of the fatalities and major injuries that occur on Alaska's roads and highways. Nearly half of these deaths can usually be prevented by simply buckling-up or not drinking and driving. Information for teens and parents on driving safely. States Increasing Efforts on Distracted Driving. Distracted driving has emerged as a priority for state highway safety agencies. Twenty-seven states, D.C., and Guam indicated that distracted driving is included in their Strategic Highway Safety Plans (SHSPs). Since 1975, the National Highway Traffic Safety Administration (NHTSA) has operated and maintained the Fatality Analysis Reporting System (FARS). FARS is a national data collection system that contains information on all known motor vehicle traffic crashes in which there was at least one fatality. Bull moose crossing road near Denali National Park. Photo by John Love, Alaska DOT&PF. Every year moose routinely cause injury-related traffic crashes throughout the interior of Alaska, resulting in millions of dollars in medical bills and property damage. While moose are happy to pose for a picture or two it is important to give them lots of room, especially when calves are nearby. The U.S. Department of Transportation has made a clear commitment to the philosophy that communities are in the best position to affect improvements in motor vehicle and other transportation-related safety problems. We know that when a community takes ownership of an issue, change happens! 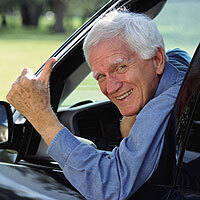 Everyone ages differently and where some people are perfectly capable of continuing to drive in their seventies, eighties, and even beyond; many elders, however, are at higher risk for on or off road crashes. According to studies conducted by the National Highway Traffic Safety Administration (NHTSA) senior drivers are more likely to receive traffic citations for failing to yield, turning improperly, and running red lights and stop signs - an indication of decreased driving ability. To improve motor vehicle crash data in order to reduce crashes and injuries on Alaska's roadways.